​In anticipation of a summer move that all parties want to see happen, Barcelona striker Paco Alcacer is making the necessary preparations for a return to his former club Valencia. 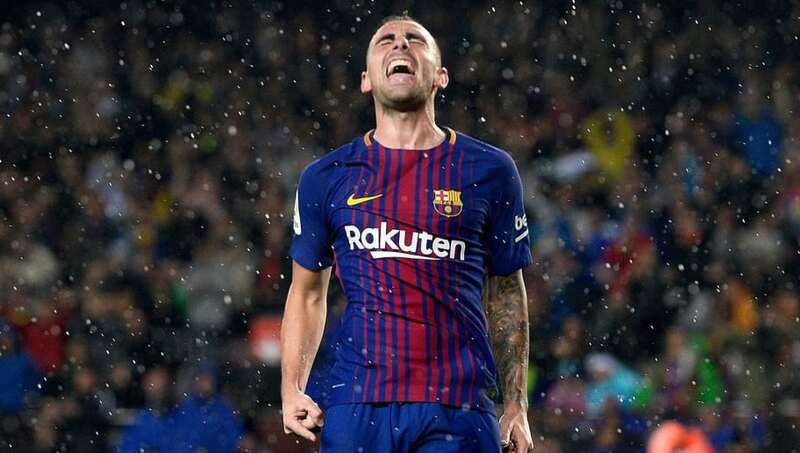 Having made just 50 appearances and contributing 15 goals for the Catalonian giants since his move from Los Ches in 2016, it appears that Alcacer is getting his wish and returning to the club where he made his name. In January ​Alcacer expressed his desire to rejoin his old side - a desire that should come to fruition during this transfer window. ​A report in Onda Cero (via ​Football Espana) claims that the 24-year-old striker has already begun to move out of his home in Barcelona to his previous residence in Valencia in anticipation of a move. One can't blame Alcacer for wanting to get out of the Nou Camp, as waiting for game time behind the likes of Luis Suarez, Lionel Messi and Philippe Coutinho is surely arduous - and 50 appearances in all competitions over two seasons backs that up. Conversely, Alcacer played more than 120 games for Valencia, scoring 43 goals with 17 assists before his €30m deal to ​Barcelona in 2016. However, Alcacer may still have work to do to fight his way into the starting XI with Valencia, as the club had two of the top 15 strikers in ​La Liga last season in Rodrigo (16 goals) and Simone Zaza (13 goals). Alcacer scored four goals in 17 league appearances last season (7 in all competitions). Barcelona, meanwhile, are looking to bolster their already formidable attack with the ​signing of Atletico Madrid star Antoine Griezman - though no deal has yet beed made and there are even some reports suggesting that the Frenchman ​​has told teammates he plans to stay with the club​, despite the continued interest. How much do you know about football culture around the world? What common practice do Japanese fans do after games? Which league are you not allowed to drink alcohol during the game? Which country has not qualified for the World Cup this year? What is the capacity of the San Siro stadium? Which season did Leicester City surprise the world and win the Premier League? Your knowledge of football culture is excellent!